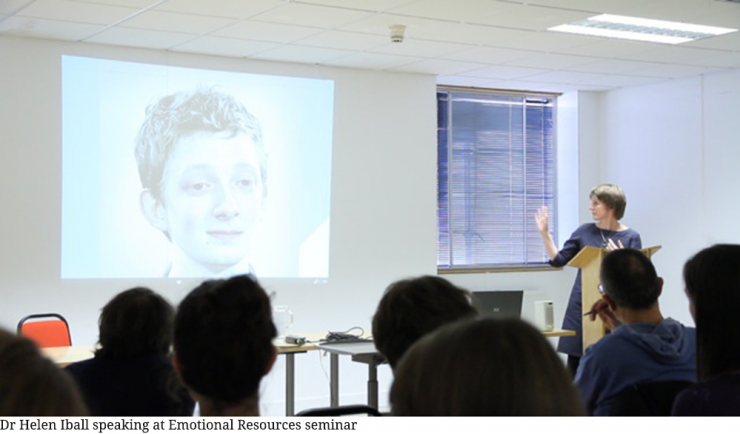 Join us to explore the themes and questions posed by Emotional Resources, at this seminar featuring artists in the exhibition alongside speakers from sociology, literature and cultural criticism. Together the speakers will ask, how we value emotionalism when private experience becomes a public act, and look at how artists address this in their work. Artists include Harry Burke, who will explore his practice as a poet and curator and read from his work, Phoebe Unwin, whose painting translates the intimate and diaristic onto the canvas, and Erica Scourti whose work in both tapestry and video explores the transgression of the intimate into the public domain. The artists are joined by a range of speakers from across disciplines, including Professor Lynn Jamieson, a sociologist at Edinburgh University and author of Intimacy: Personal Relationships in Modern Societies, and Dr Helen Iball, from Leeds University, whose research explores questions of intimacy and empathy within theatre and live art, and curator Lucia Garavaglia, from the Eterphilous Society, whose practice investigates ‘intimacy’ through writing and live events. As part of the event, Nicola Singh will give a specially commissioned performance exploring intimacy and gesture as a ritualized action, in NGCA’s Project Space. Modern Culture is an agency for programming and commissioning events in literature, film, art and contemporary culture.